Have you ever wondered why we stop to watch the orange glow that arrives before sunset or why we flock to see cherry blossoms bloom in spring? Is there a reason that people--regardless of gender, age, culture, or ethnicity--are mesmerized by baby animals and can't help but smile when they see a burst of confetti or a cluster of colorful balloons? We are often made to feel that the physical world has little or no impact on our inner joy. Increasingly, experts urge us to find balance and calm by looking inward--through mindfulness or meditation--and muting the outside world. But what if the natural vibrancy of our surroundings is actually our most renewable and easily accessible source of joy? In Joyful, designer Ingrid Fetell Lee explores how the seemingly mundane spaces and objects we interact with every day have surprising and powerful effects on our mood. 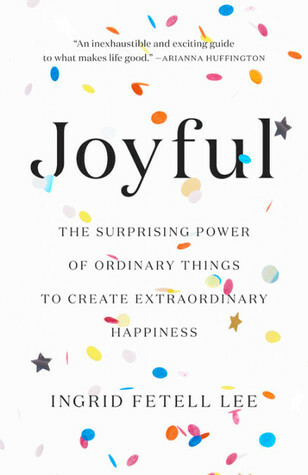 Drawing on insights from neuroscience and psychology, she explains why one setting makes us feel anxious or competitive while another fosters acceptance and delight--and, most importantly, she reveals how we can harness the power of our surroundings to live fuller, healthier, and truly joyful lives. Ingrid Fetell Lee is a Brooklyn-based designer and writer whose work focuses on the way that design affects our health and happiness. As founder of The Aesthetics of Joy and in her role as IDEO fellow, she empowers people to find more joy in daily life through design.